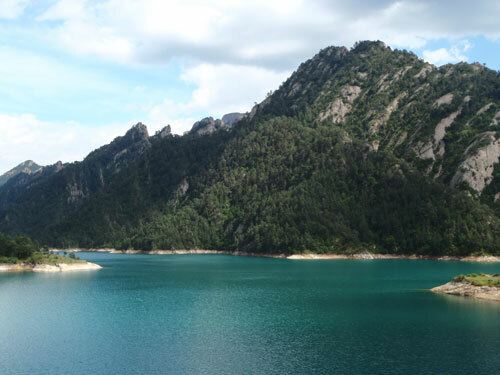 La Vall de Lord, situated in the region of Solsonès, is nature at it’s purest! Mountain roads from the easiest to the most difficult, that stretch through forest of pine and centenary oaks, where you can feel comfort from the landscape, fresh air and water from many sources. Vall de Lord is nature at it’s purest, where you can also find a warm welcome, good restaurants, local food such as meats and artisan cheeses and peace that will free from the stress and anxiety of everyday life. En la “Vall de La Coma y La Pedra” the historical legacy and heritage is represented and exemplified in it’s many small chapels. 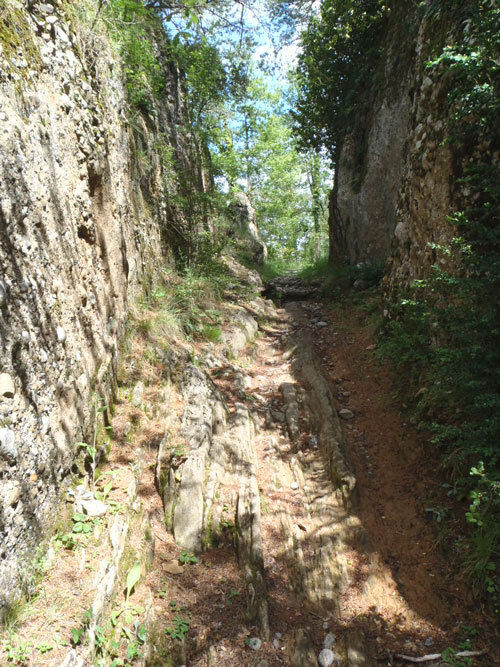 Through the route proposed you can trace the entire cultural heritage and discover the parish churches of stone and small chapels scattered across the skirts of the mountain ranges of Port del Comte and Verd, such as Santa Magdalena de Trigines, San Lleír de Casabella o Sant Sadurni de La Pedra. – Sant Sadurní de la Pedra: Nineteenth-century Romanic church, with additions from the thriteenth-century, situated on a hill that dominates Valle de Lord. The church has a well preserved baroque altar in the main apse. 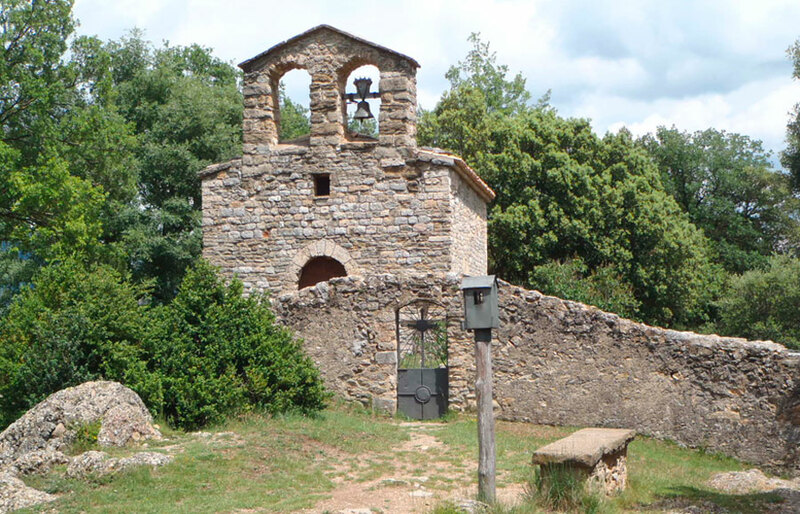 – Sant Lleïr de Casabella: The eleventh-century Romanic chapel including a porch, and a cemetery. The decoration of the entrance door is a highlight of the chapel. – Santa Magdalena de Tragines: A small, well preserved Romanic chapel, of one nave with a barrel vault. – Sant Cristòfol dels Pasqüets: An eleventh-century Romanic chapel of a single nave and no apse, with a triangular cover made of bricks. – Lunch at Monegal Restaurant: Offers simple dishes made with quality produce, and wherever possible, ecologically sourced from the local valley or region. Home cooking, both in the character of the produce and the process of making. – Visit to the Parroquial Church of Sant Llorenç de Morunys: (Declared an area of national cultural interest) Dating from the eleventh-century. The central apse preserves in it’s inner part remnants of late thirteenth and early fourteenth century mural paintings that reflect scenes of the life and martyrdom of Sant Llorenç. The main jewel of this church is the altar dedicated to the “Mare de Déu del Colls”, a true artistic treasure. On a lateral alter known as the altar of the Holy Spirit, is conserved a notable Gothic altarpiece of the Holy Spirit painted for Lluis Borrassà in 1419. 13:45 – Lunch in Monegal Restaurant on Sant Llorenç de Morunys. – Comfortable sports clothing, trainers or mountain shoes, rucksack, food and drink for the morning, sunglasses, hat. – Participant must listen to and respect the advice of the technical specialists. – Throughout the trip it is absolutely necessary to respect the natural environment.